Long Beach Senior Art Colony involves two adjacent senior housing components with shared amenities: a 161 unit Senior Arts Colony (SAC), a community focused on continued learning, creative arts, and fitness, and an adjacent building, the Arts Annex (AA). The AA contains 39 units of additional affordable senior housing. The SAC and AA components include, respectively, five and three stories of wood framing over one story of concrete plus mezzanine. The SAC building forms a south facing courtyard, providing solar access while collecting cool ocean breezes. Within the courtyard is a freestanding community performing arts theater, which is the focal point of the project. A second courtyard, accessible to residents in both phases of the development, will have a dog park, expansive lawn and community gardens. Once completed, the project will have 200 units of housing. 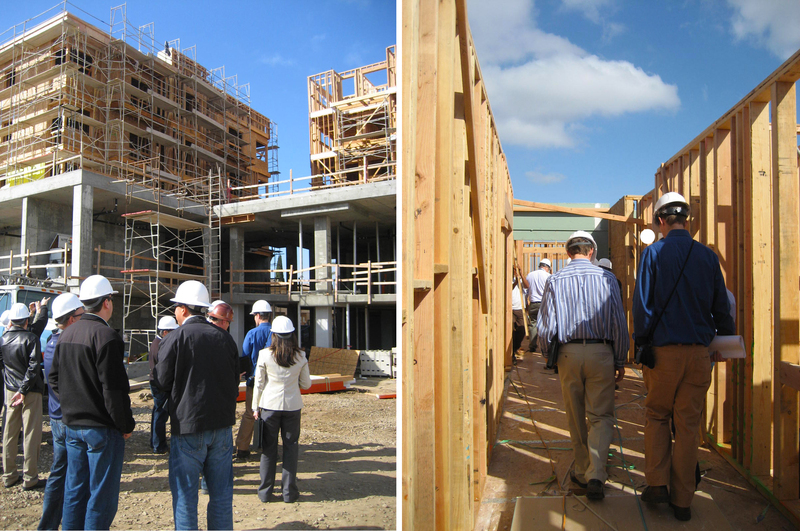 On the tour, we explained why wood was used on the project; we discussed the advantages, such as cost, expedience, and acoustic performance, as well as some of the challenges, like necessity for FRT, height restrictions, and increased systems coordination (i.e. : HVAC). 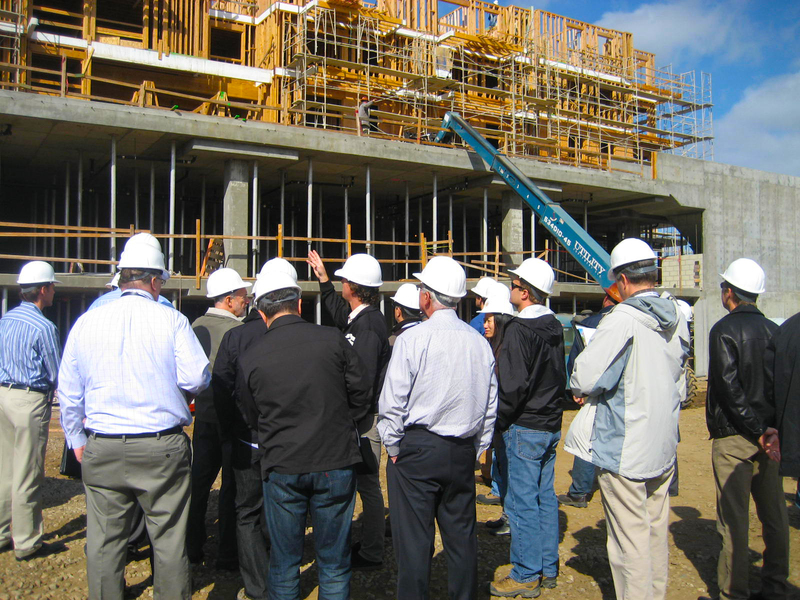 We collaborated with the project’s structural engineer and contractor to answer the questions of the Woodworks Counsel staff along with a group of structural engineers, architects, and developers from all areas of the US and Canada. This tour was a rare opportunity to take an in-depth look at one of our projects through the eyes of others, and we really liked what we saw. You are currently reading WoodWorks Tour of Long Beach Senior Art Colony at .